Julien Baker, Phoebe Bridgers, and Lucy Dacus are undeniably three of the most exciting and talented young singer-songwriters of the decade. When news broke the three were working on a project together, it was impossible to not take note. The result of this collaboration is boygenius, which is undeniably one of the year’s best releases – EP or LP. Right out of the gate, boygenius packs a heavy punch with “Bite The Hand”. From the guitar work to hearing the three artists harmonize, the song gradually develops into a hurricane and then ebbs into a refrain of “I can’t love you how you want me to”. They follow that with “Me & My Dog”, which has the potential to be a truly defining track of the year. Led in by Bridgers’ vocals, it kicks into gear when Baker and Dacus join in. Lyrically it’s relatable, and when it reaches its crescendo, there’s a huge instant cathartic release, creating one of the year’s best moments. “Souvenir” and “Salt In The Wound” showcase everything that make these three songwriters amazing. Hearing all three exchange verses in “Souvenir” or Dacus’ voice cut through an overwhelming amount of sound at the end of “Salt In The Wound” are amazing moments. “Stay Down” wouldn’t feel out of place on a Julien Baker record, except for the fact that it’s complemented by a full band that turns it into a monster. The EP closes with “Ketchum, ID”, which features just the three artists’ stunning harmonies and an acoustic guitar. boygenius is everything we love about these three artists. The only criticism one can levy is that it’s just too short. 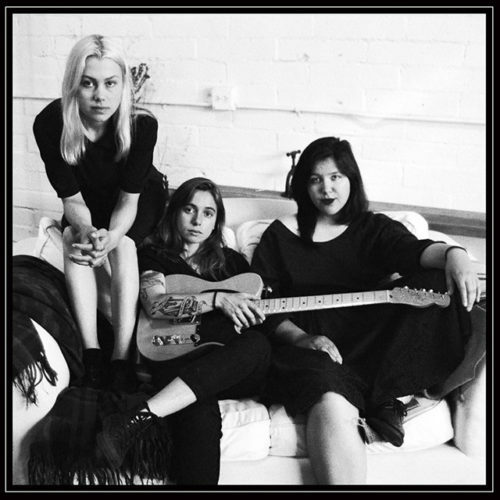 boygenius is out on Matador Records, and purchase and streaming links are here. For the complete list of our Favorite 20 EPs of 2018, click here.